The OC64KZ Electric Cooktop from Omega features four cooking zones controlled via side-mounted control dials. The ceramic glass surface can be easily wiped clean helping to keep your kitchen beautiful. 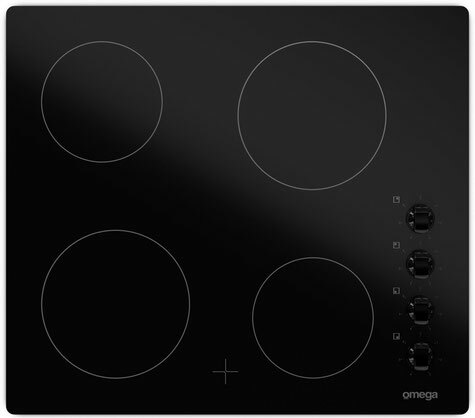 And with residual heat indicators to help prevent accidents, this Omega cooktop is safe, stylish and affordable. The cooktop is made in Europe and for your peace of mind also comes with a 24-month warranty for all parts and labour.